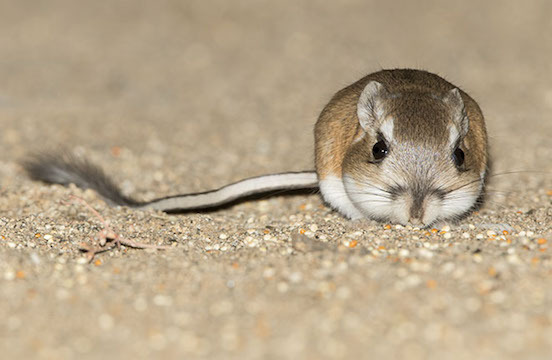 Kangaroo rats (genus Dipodomys) are a group of burrowing North American rodents specialized for seed-eating. 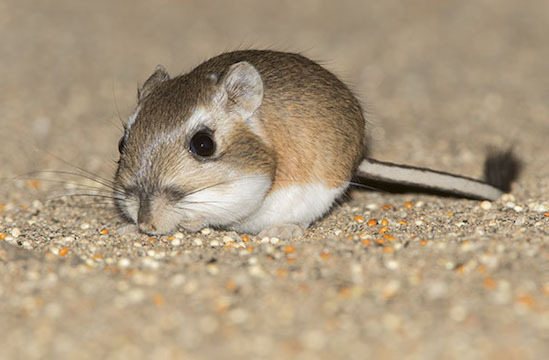 They are named for their hopping locomotion and have large hind feet, long tails, and short front limbs used mainly for gathering seeds, which are carried in fur-lined external cheek pouches. 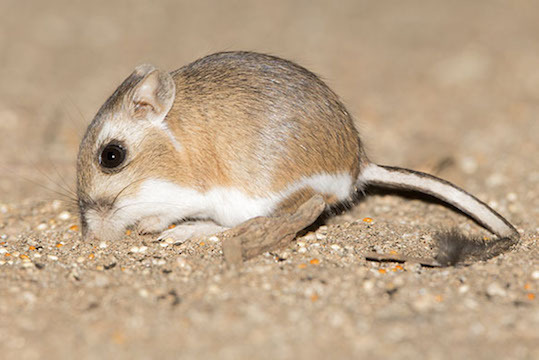 All kangaroo rats closely resemble each other, although there is roughly a 4-fold range in adult body mass. 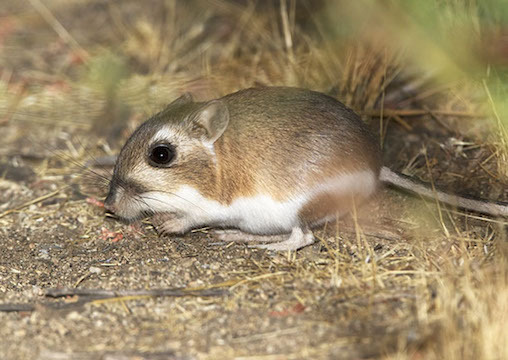 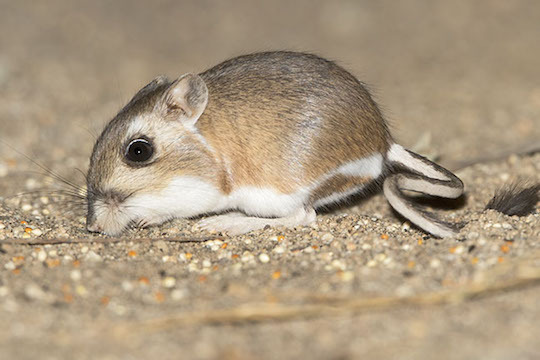 This is the Dulzura kangaroo rat (D. simulans), which is found in scrublands in southern California and Baja California. 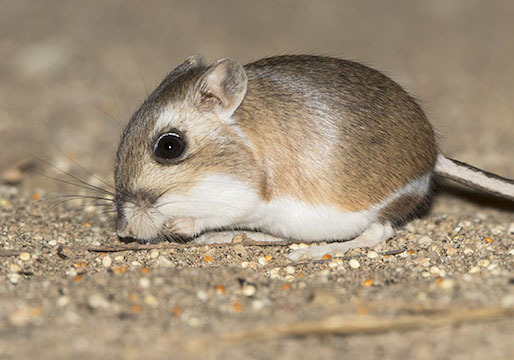 It's a medium-sized K-rat, weighing 50-70 g as an adult. 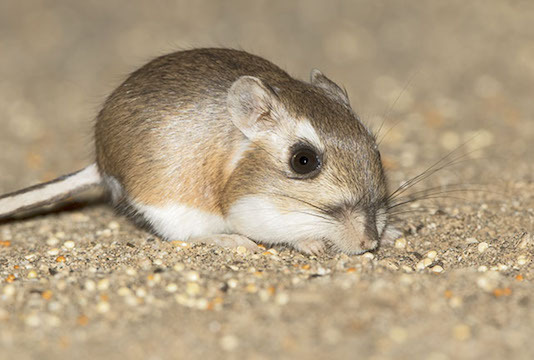 Near where I live in southern California, several kangaroo rat species live in close proximity. 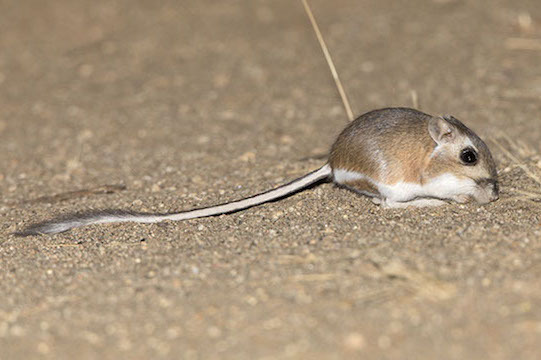 For example, on the University of California's Motte Reserve, Dulzura kangaroo rats live on steep, brushy, rocky hillsides, while adjacent grassy areas are the preferred habitat of the endangered Stephens' kangaroo rat. 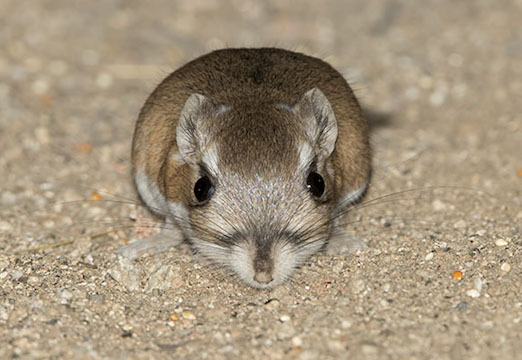 The two are extremely similar and expert knowledge is needed to identify them with certainty -- and to be honest I'm not 100% sure of the ID. 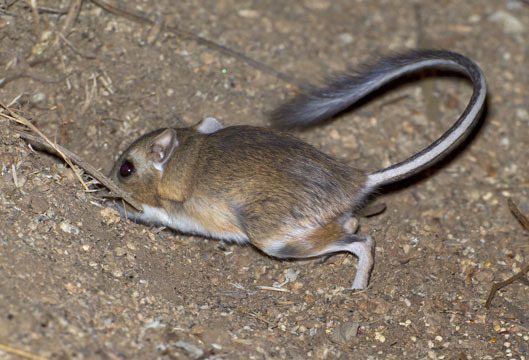 This Dulzra K-rat was at the Motte Reserve; it was lured into posing by baiting with birdseed (most kangaroo rats cannot resist small seeds, and many will even eat them out of your hand). 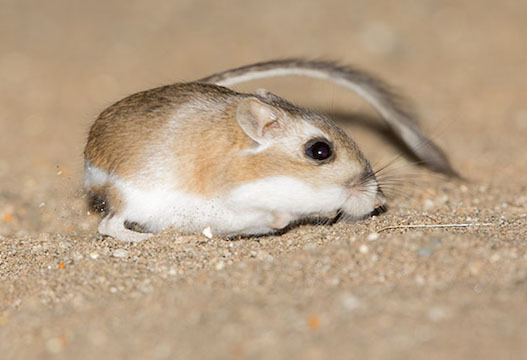 More images here.. 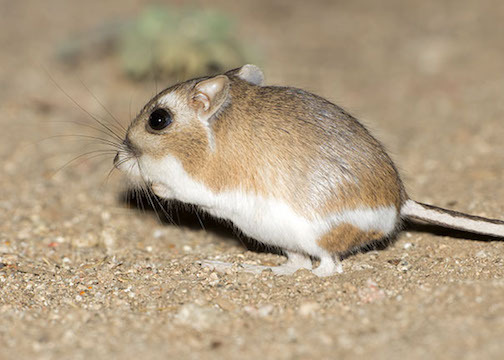 These links lead to images of Merriam's, Panamint, Ord's, short-nosed, and giant kangaroo rats, and the related Great Basin pocket mouse.